The femtosecond laser technology that brought new levels of safety, accuracy and predictability to LASIK flap creation is also advancing cataract surgery. Dr. Stewart calls the procedure Refractive Laser-Assisted Cataract Surgery (ReLACS), but it also is known generally as laser cataract surgery. To learn more about laser cataract surgery, review the information below or contact our office for details. Contact us to discuss the best treatment plan for you or your patient. As you age, the lenses behind the pupils of your eyes become less clear and can often develop into a cataract. Cataracts are so common, they could be considered a 'normal' part of aging like to wrinkles and gray hair. A cataract is a painless, clouding of the lens that can block the passage of light to the retina – similar to haze on the lens of a camera. Early cataracts have very little haze and create fewer symptoms of blurry vision. As cataracts develop and become hazier, less outside light is allowed to focus an image on the retina. 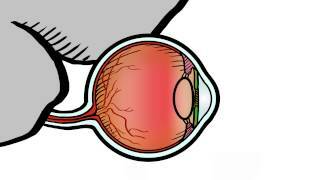 The retina is the nerve layer at the back of the eye. The nerve cells in the retina detect light entering the eye and send nerve signals to the brain detailing what the eye sees. Because cataracts block this light, they can cause severe vision problems such as blurry vision that is not correctable with glasses or contacts and significant glare or halos around lights. Trouble doing daily activities such as reading, threading a needle, watching TV, etc. The most common cause of cataracts is aging; however, there are other disease processes that can cause cataracts as well. The most common is diabetes mellitus. Some medicines such as oral predisone (taken for inflammatory diseases such as arthritis) can cause cataracts after prolonged use. Trauma to the eye is another possible cause of a cataract. If you have a cataract in one eye, you usually have a similar grade cataract forming in the other eye. Your local eye doctor or Dr. Stewart can find out if you have cataracts by doing a physical exam and asking questions about your symptoms and health history. When a patient in their 60’s or older is experiencing blurry vision that cannot be corrected with glasses, cataracts top the list of possible diagnoses. A cataract is usually seen after your pupil is dilated using special dilation drops (lasting for a few hours). You may need other tests to make sure you have a cataract or to rule out other conditions that may be causing vision problems. Cataracts are graded from 1+ to 3+ in severity. In rare cases, a cataract can be so severe that it is white and the patient can only visualize light or dark. 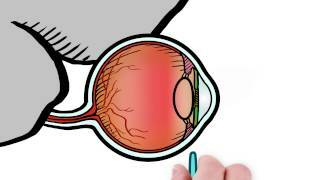 Surgery is the only way to correct vision loss caused by cataracts. Dr. Stewart is an expert in topical, no-stitch, no-patch cataract surgery. 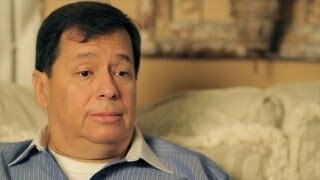 Just because you have a cataract does not mean you must have cataract surgery. Insurance companies such as Medicare require that a cataract must be causing a decrease in vision of 20/40 or worse (with additional symptoms affecting daily life activities). Cataract surgery is always an elective surgery which means you should make the decision when and if you would like to improve your vision. Every surgery carries with it a certain degree of risk, including infection and worsening vision after surgery. Although these postoperative complications are extremely rare, they can happen. What does Dr. Stewart do differently? Dr. Stewart was one of the first new-age ophthalmologists to perform topical, clear cornea, no-stitch (self-healing), no-patch cataract surgery. In the 'old days' of cataract surgery, a very long needle was inserted behind the eye to anesthetize and paralyze the eye muscles. This injection has been linked to lingering pain, bleeding behind the eye, and damage to the eye or the muscles that control the movement of the eye. After the eye was anesthetized, a large incision was made to deliver the cataract from the eye. The cataract was pulled out in whole. The resulting wound would be over 10 millimeters and needed to be closed using tiny silk sutures. Dr. Stewart eliminated the use of the retro-bulbar needle in 1999, and began using topical anesthetic drops and an intravenous sedative to help patients relax during the 5-minute surgery. Dr. Stewart now uses a relatively new form of cataract extraction. This particular form of cataract removal enables Dr. Stewart to create a small incision that is less than 3 millimeters. The cataract is broken into small manageable pieces inside the eye, and removed via a vibrating and irrigation system known as phacoemulsification. The benefits of this new technique is that the wound does not need to be sutured and it seals itself right after the procedure. This leads to less inflammation after surgery and a faster recovery time. Many years ago, patients who had cataracts removed where given thick 'coke bottle' glasses or hard contacts to help them see. Later cataract surgery was revolutionized by the introduction of the IOL (intraocular lens). Today, all of Dr. Stewart's patients receive an IOL after cataract surgery. (Not every surgeon uses the new IOL technology.) Dr. Stewart was one of the first surgeons in the country to start using the new technology IOL. The traditional IOL could be custom fit to the patient’s eye, to help decrease their use of glasses after cataract surgery, even if they wore glasses before they developed cataracts. The traditional IOL can help patients see better in the distance with less dependency on glasses, but they cannot treat astigmatism or help patients read up close. The New Technology IOL that Dr. Stewart uses in his practice, help patients achieve the distance and near vision after cataract surgery. Only recently has Dr. Stewart been able to treat cornea astigmatism with a new Toric IOL that helps treat preoperative astigmatism. Although the average cataract surgery by Dr. Stewart is less than 6 minutes, the patient should be expected to be at the surgery center for at least 3 hours. It is during this time that the eye is dilated, IV sedation is delivered, and there is a certain amount of time to recover before you can safely leave. You will need a driver to take you back home after you are discharged from the surgery center. Most of our patients do not remember the surgery, and most can tell an immediate difference in their vision immediately after surgery. Many times the vision gradually gets blurry later in the day, slowly clearing up by the next day. Dr. Stewart or your local co-managing eye doctor will need to see you the following day after surgery to make sure that you are healing appropriately. Dr. Stewart only does surgery on one eye at a time; and if you need surgery on the other eye, he waits 2 to 3 weeks. Contact us to discuss the best treatment plan for you or your patient.